A superhuman (for example Superman a.k.a. Man of Steel and fathers <Happy Father's Day> ) does not need aerodynamics to fly. In fact, the atmosphere can often be an annoyance when speeding to a rescue. Here are 5 thing a superhuman can teach us about aerodynamics. 1. Use your superhuman ability to levitate if you wish to fly slowly during search and rescue missions. Flying at a speed of 20 m/s, even with feet down to simulate a Gurney flap, will generate a miniscule 4 pounds of lift from the atmosphere. 2. Superhuman strength is required to fly fast as well. Traveling to a rescue at the reasonable speed of 600 m/s develops upwards of 12,500 pounds of pressure drag which you can tax your super abilities. 3. Forget the hairdo. Flying on a humid day causes condensation that can reveal your position and have the bad guys laugh at your vapor made tutu. 400 and 600 meters per second. 4. The atmosphere can afford you a jump on the uninitiated bad guys. Your secret weapon is called Mdd (drag divergence Mach number). Those new to Earth will be temporarily baffled by their sudden lack-luster performance at or around Mach one. 5. 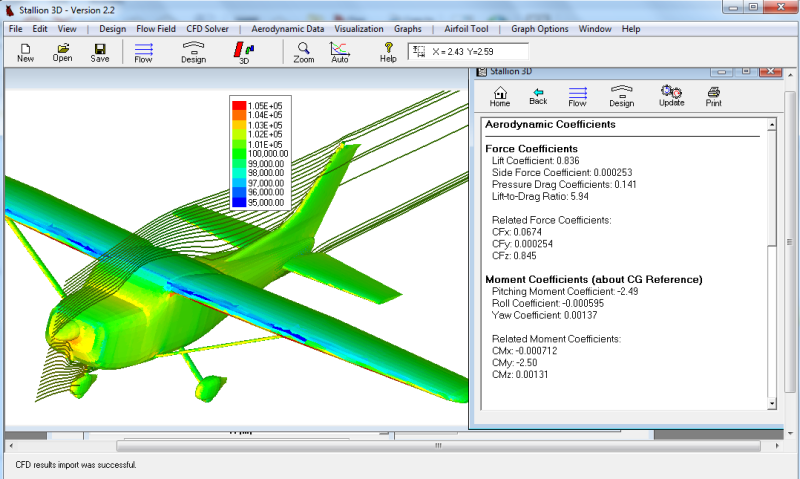 Aerodynamics is fun! Try it. 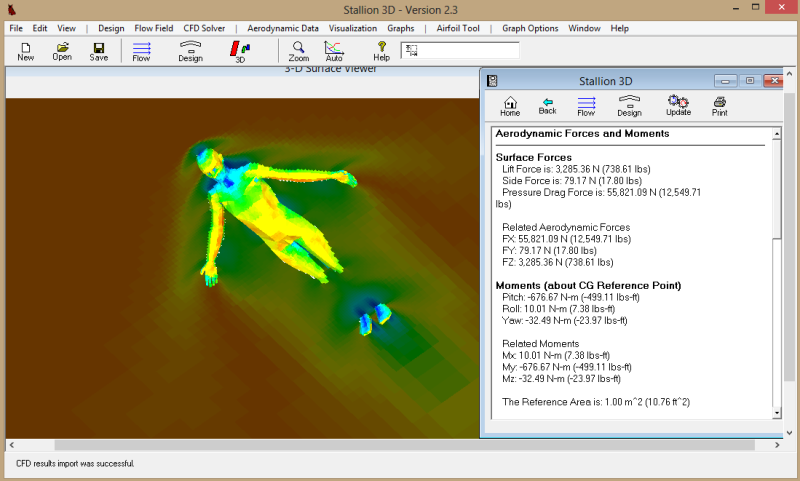 BTW, you might need Stallion 3D. Thanks for reading and Happy Father's Day to everyone. Which NACA airfoil is the best? (for you?) The answer one expects is the shape with the highest lift, lowest drag and most favorable moments. 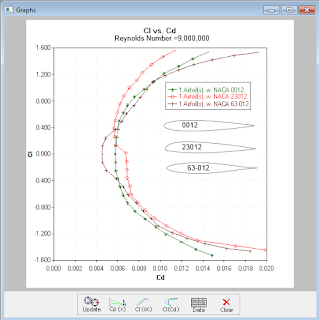 Cl vs. Cd for 3 NACA airfoil shapes. 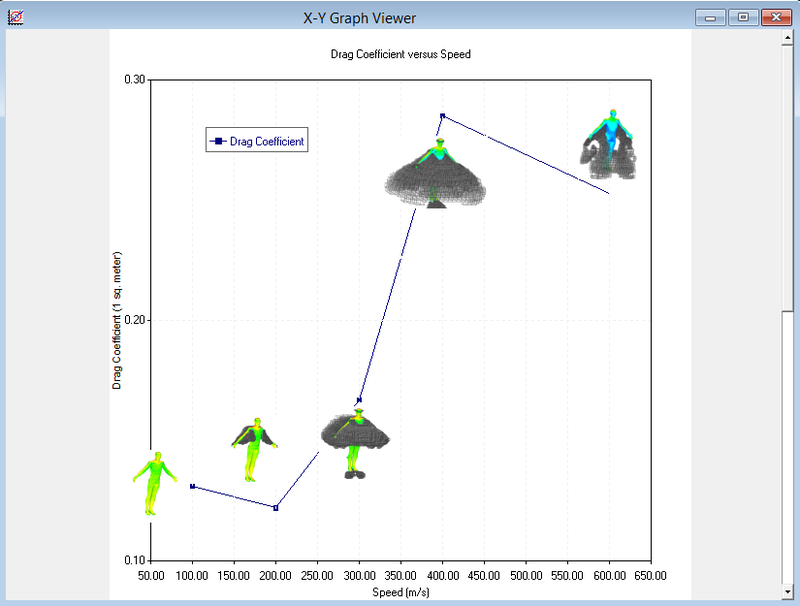 The graph above (lift vs. drag) can give us some hints. The 63-012 is good (low drag) at low lift requirements. Perfect for a high performance keel (perhaps low aspect ratio). The 0012 is good (low drag) at higher lift than the 63-012. This would work well for a higher aspect ratio keel or rudder. The 23012 is good for a wing or hydrofoil. It also had good moment characteristics (not shown on graph). 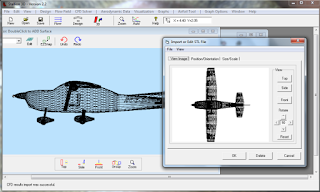 If you have questions about the performance of NACA airfoils and you need to get the coordinates or .DXF file for your designs, then I recommend the VisualFoil NACA software for Windows XP, 7 and 8. If you are in the market for furniture and see the words "some assembly required" things can get a bit scary. They are even more petrifying when your starting point is at the Home Depot lumber department. The same can be true for computational fluid dynamics a.k.a. CFD, math, fluid dynamics, "rocket science". 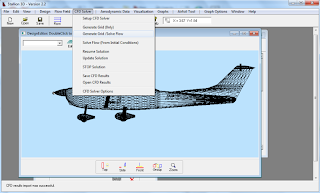 If you are designing an airplane, CFD can be a tremendous help and time-saving tool. However, if it takes you months to learn, weeks to grid a respectable geometry and produces "fuzzy math" as the solutions then you will not "save time and money". Luckily the phrase "some assembly required" often means that your only tool is a screw-driver. If you have teenagers, it means that your only task is just to buy the bookshelf. The same applies to Stallion 3D, our easy-to-use vertical analysis tool for external aerodynamics. 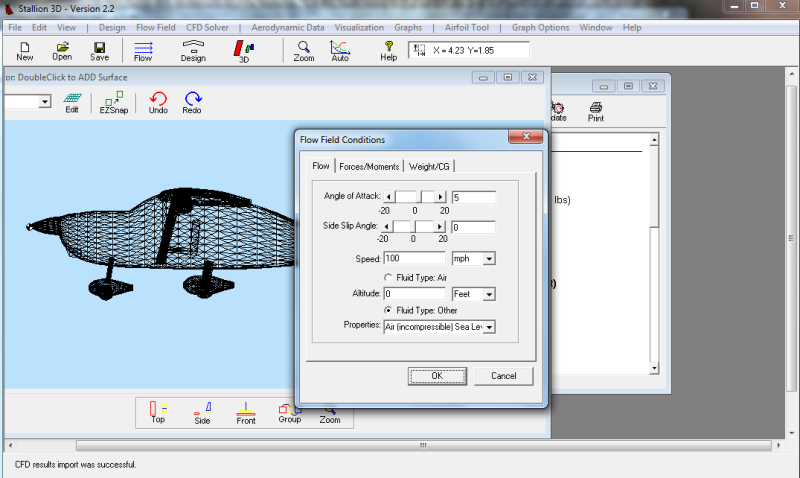 Next, the difficult part ("some CFD required") is to choose the grid size. Small for quick exploratory analysis and large to check your solutions. 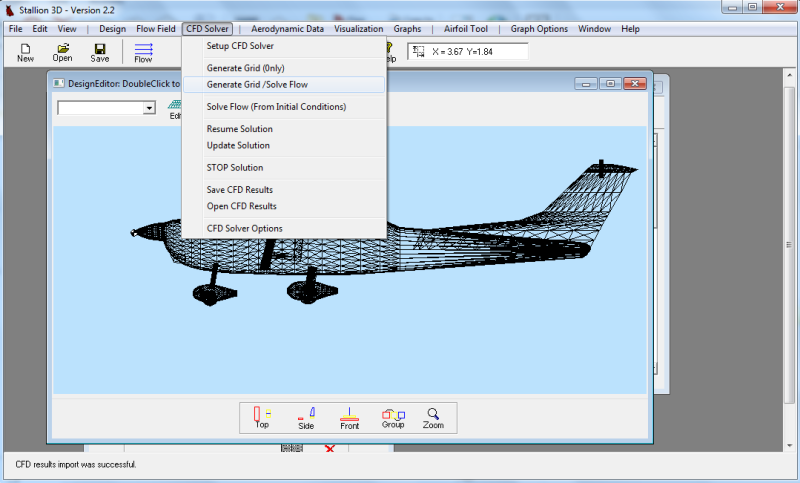 The next step is to test how well your design performs at specific flight conditions. You enter speed, angle of attack and side-slip angles. Step 3. Enter speed, angle of attack and sideslip. 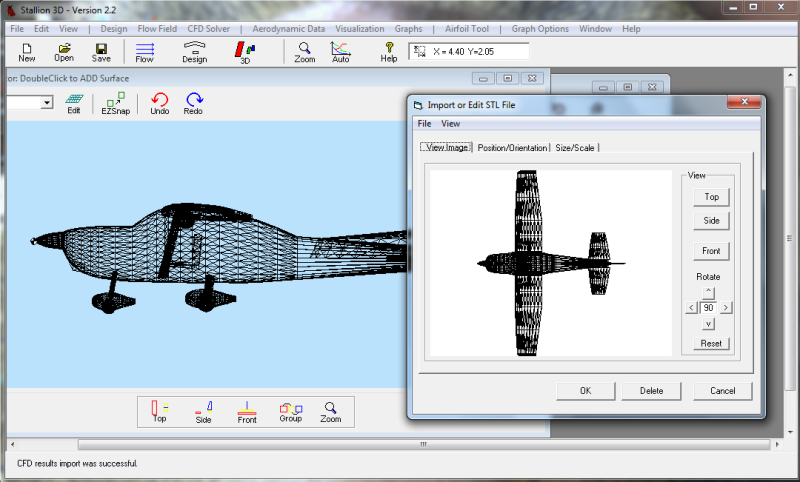 Like your teenager, Stallion 3D will do all the assembly work for you. 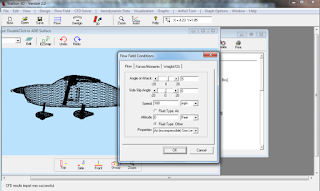 It will automatically generate the grid and analyze the flow field. Step 4. 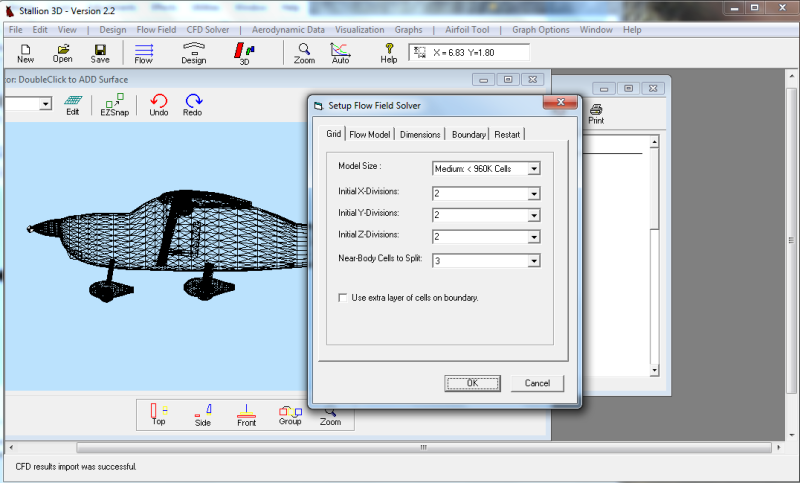 Simply click the generate grid/solve flow menu. 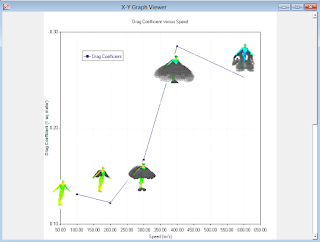 After a few hours (depending on the computer/laptop speed and grid size), you can see the results in meaningful numbers (lift, drag, moments or the coefficients). Step 5. Look at the results and assess the performance of your design. 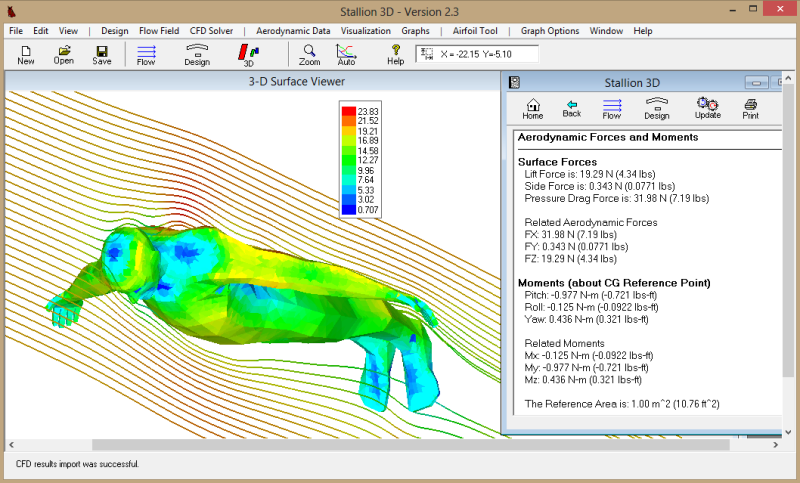 The idea here is that Stallion 3D is an aerodynamics software that uses powerful built-in CFD tools. 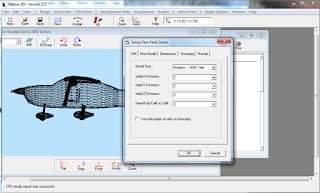 Designers and engineers use the software to analyze concepts and choose the most promising to move forward in the project. More information about Stallion 3D can be found at http://www.hanleyinnovations.com. Do not hesitate to email or telephone us at (352) 240-3658 if you have questions.